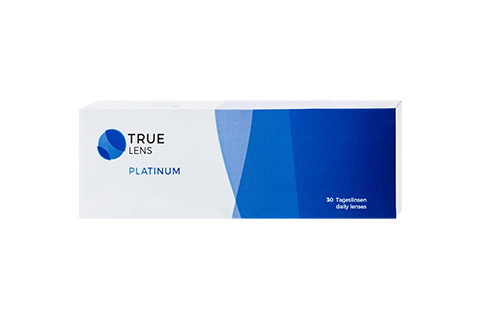 When it comes to contact lenses, the quality of Dailies lenses is irrefutable. 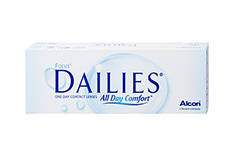 With advanced technology that keeps your lenses feeling great all day long, you simply can't go wrong with Dailies. Our range of Dailies contact lenses is sure to have something that suits your needs, and we work with you to ensure the prescription is precisely what the doctor ordered to give you perfect vision throughout your day-to-day life. 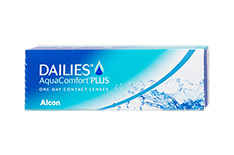 Produced by Alcon, the Dailies contact lenses are an innovative solution for the times when wearing glasses or sunglasses simply isn't practical or desirable. The surface technology used in the making of Dailies contact lenses is ground-breaking, ensuring a smooth and refreshing experience every hour you have them in. Dailies lenses also take advantage of blink-activated moisture technology that prevents your eyes and lenses from drying out. 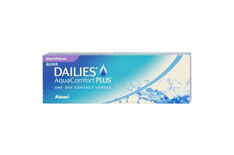 This alone makes the daily contact lens ideal if you have a fast-paced, active life that demands comfortable eye products. 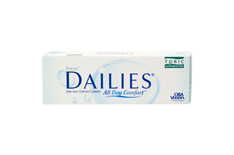 The most advanced of our Dailies selection are the Dailies Total1 Water Gradient contact lenses. These special contact lenses are highly breathable, with over 80% water content on the lens surface. For added comfort, try the Dailies AquaComfort range, which put an emphasis on the blink-activated technology used to make the lens. This ensures your eyes stay moist with each and every blink you make while the lenses are in your eyes. Leave your glasses at home and slip in your Dailies contact lenses. We offer two lens package types - one with 30 lenses and one with 90 lenses - giving you the flexibility you need to stock up for the next few months, or to simply buy a replacement package. It's worth remembering, though, you save more when you buy the 90-lens package. 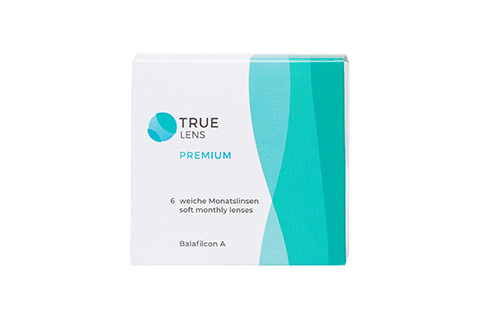 With one pair of lenses per day, each package will last you over a month, meaning you pay extremely little on a day-to-day basis for top-quality contact lenses. It really doesn't get any better than that. Glasses are certainly a great option when it comes to eyewear, but they're not always ideal for certain situations. 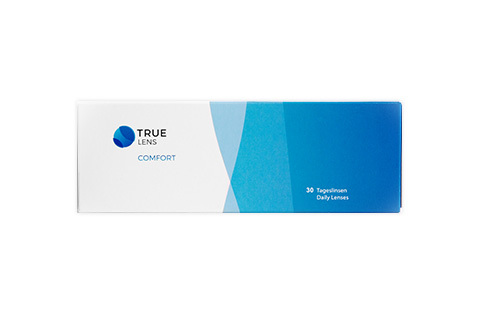 Whether you only occasionally wear contact lenses or opt for contact lenses over glasses on a regular basis, the optimal comfort of Dailies is first rate. The disposable nature of the daily lenses means you don't have to fuss around with keeping your lenses clean - or remembering where you left your case - which is particularly convenient if you travel a lot. Whether you're shortsighted or longsighted, Dailies contact lenses are a fantastic option, and our online opticians are happy to help you make sure the prescription is exactly what you need to see clearly and comfortably throughout your day. What's more, in addition to cheap prices on our Dailies contact lenses, we also offer a 30-day return policy on our daily-lens packages. If for whatever reason you are unhappy with your purchase, you can return your unopened packages to us and we'll give you a full refund. Buy your daily, disposable contact lenses from Mister Spex today and save. Whether you opt for Total 1, AquaComfort Plus, AquaComfort Toric or the Dailies multifocal contact lenses, you certainly won't regret buying these superb solutions to glasses and prescription sunglasses. And with free delivery on all purchases of eyewear and daily contact lenses over £29.00, the price you pay for our contact lenses, glasses and sunglasses truly is a bargain. Contact our opticians online for free today to get more information about how we can help you with vision solutions. 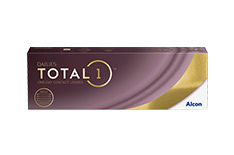 All the extras you need to take care of your contact lenses and eyes can be found in our online collection. Browse through our collection today; you're certain to find what you're looking for.